HF: How many cities have multi-storey depots for double decker buses? Hong Kong does. 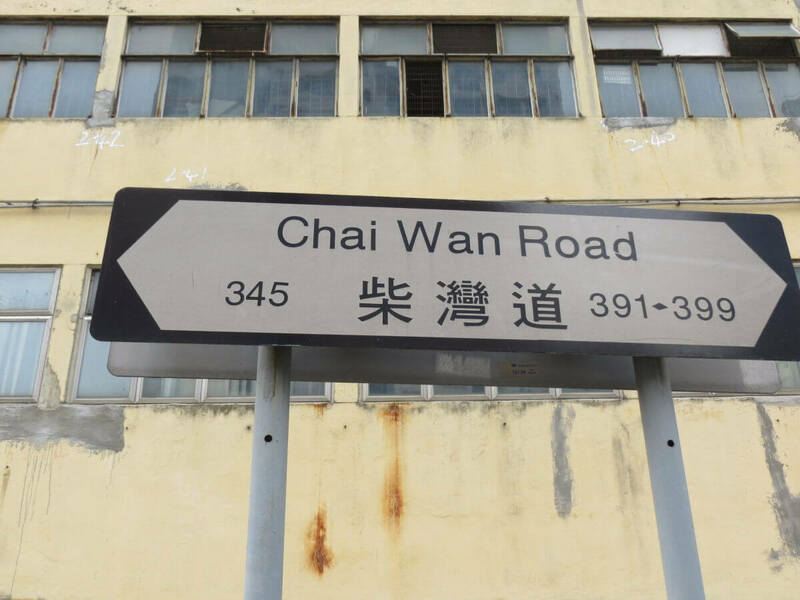 Here’s one at 391 Chai Wan Road/Sheung On Street, the former head office of Hong Kong’s first bus company China Motor Bus. 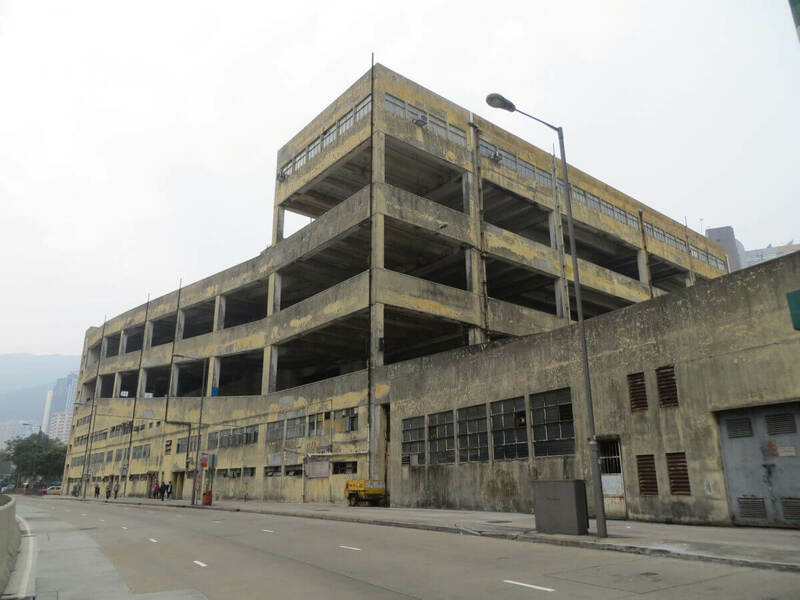 A five storey concrete parking facility it was the company’s largest depot but now appears empty and unused. 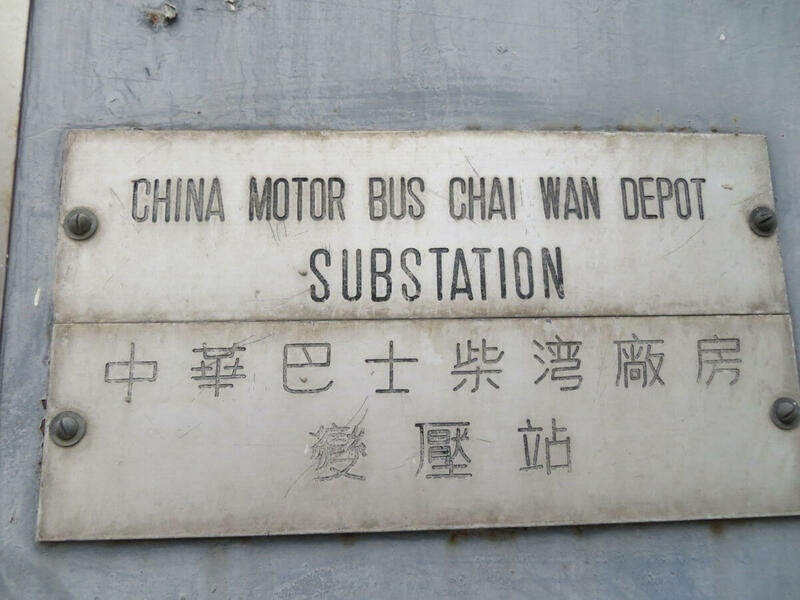 In February 1998, the government announced the franchise for all 140 routes operated by China Motor Bus would not be reviewed when it expired on 31 August 1998. 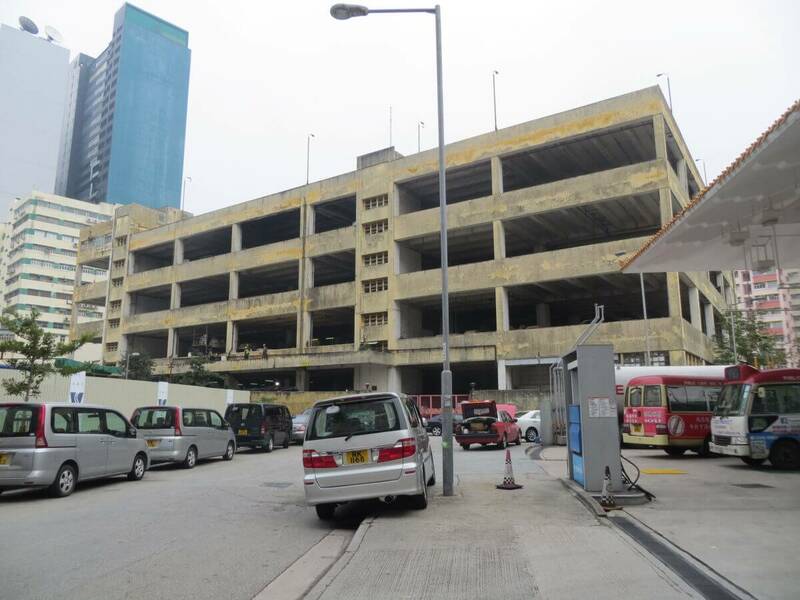 I am unsure whether another bus company used the depot after the demise of CMB – can someone enlighten us about what happened post 1998 and what plans there are for the site? I took these exterior photos on the 6th February 2015. 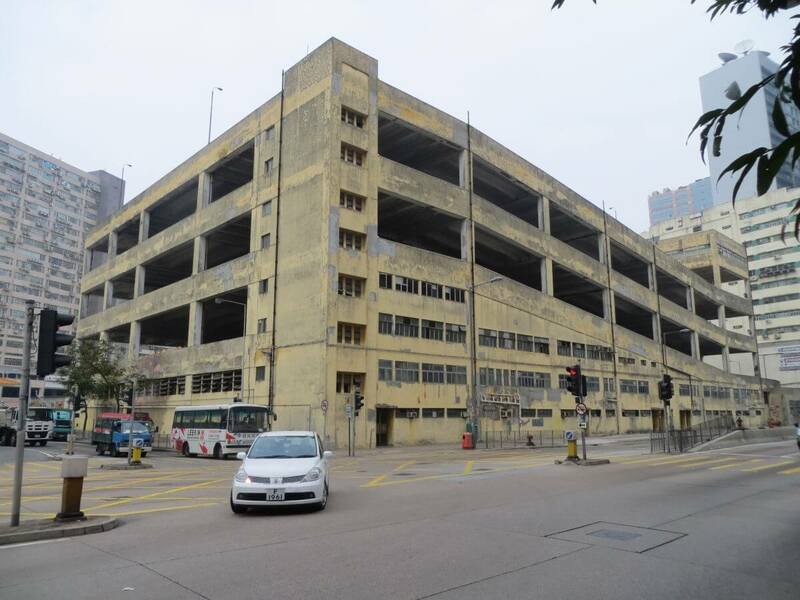 Dennis Wong commented in July 2016: New World First Bus (NWFB), the successor of CMB, used the depot until a new depot in Chong Fu Rd was built in 2001. After that, several operators used the depot temporarily on lease, including Citybus and the Big Bus Company. However, the top level of the depot remained the head office of CMB, and it is still the case nowadays as CMB still exists as a company. After NWFB took over CMB’s franchise bus in 1998, CMB continued to use the top level of depot for its fleet of private non franchise route. CMB remained as the owner of the building, and has attempted to develop the location into residential units in recent years. 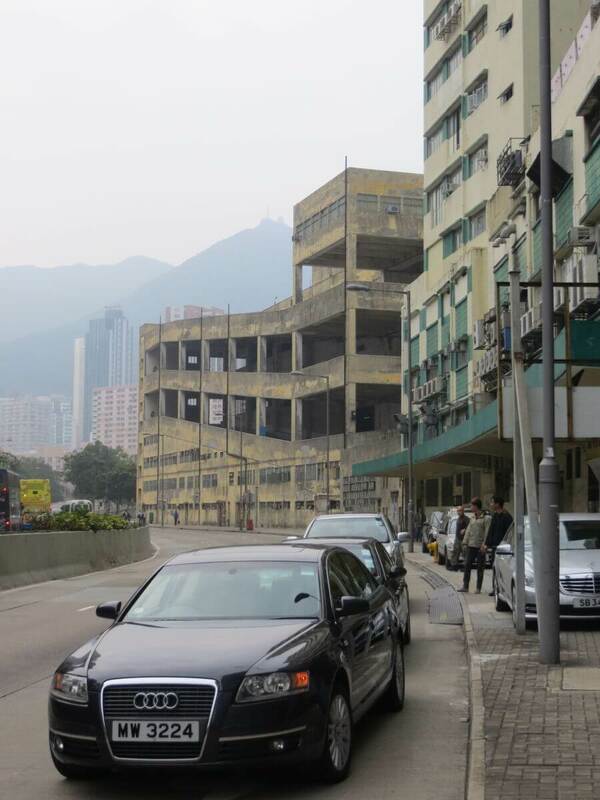 Therefore, it is expected the location will become brand new residential apartments in the future. This article was first posted on 16th November 2015. 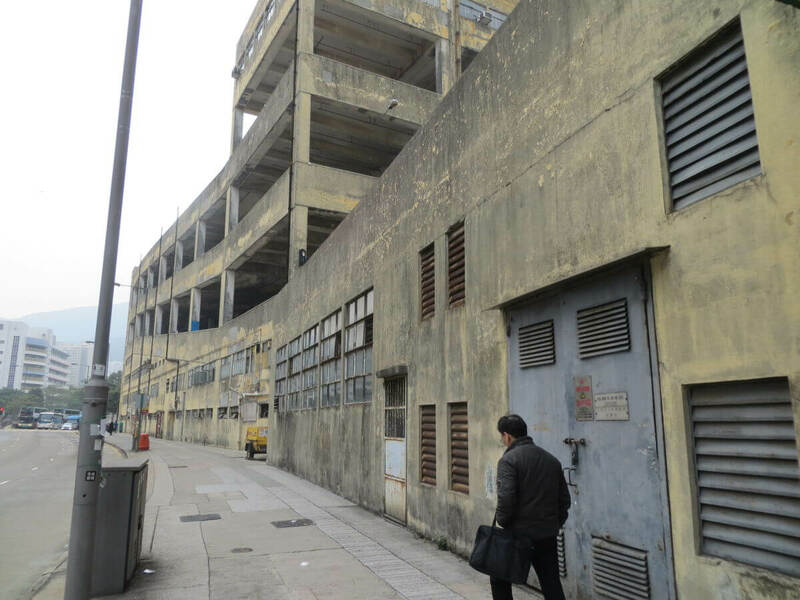 As the last Chief Engineer of CMB and my office was in this building it is very sad to see it now.